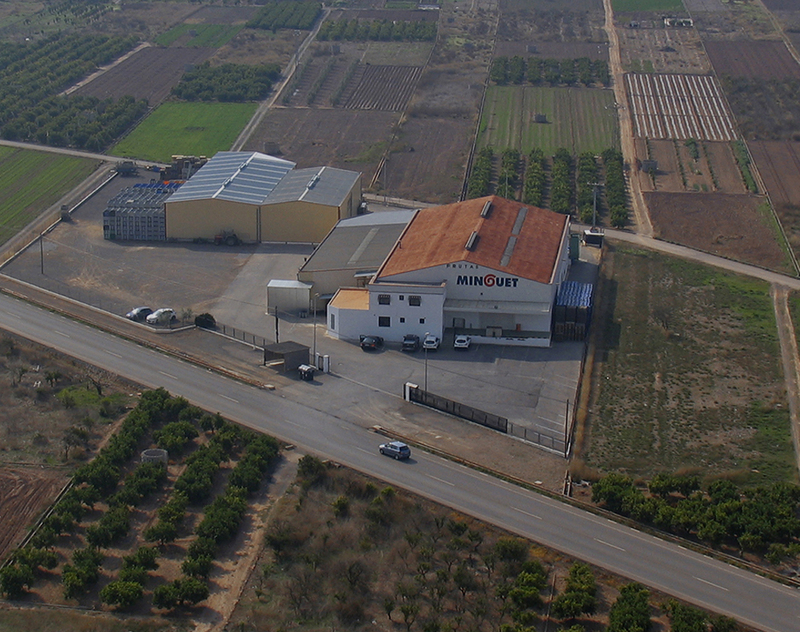 Located in Chilches, in the province of Castellon, Spain, our company is dedicated to the production and marketing of high quality clementine oranges, avocados, watermelons and melons. We boast facilities and human capital of the highest standards in order to guarantee excellent quality while bearing in mind the freshness of our fruit. Thanks to the effort and persistence of the people that make up our company, who year after year have followed the same path, we have been able to gain a niche among the most important markets across Europe. Since the decade of the 40s, Jose Minguet Ortega, predecessor of the Minguet family, has made his passion become his way of life by acquiring several fields to grow fruit and vegetables in the area of Chilches. With a lot of effort and dedication, Jose Minguet, begins growing his own crops on his land, in addition to packing and transporting the fruit in order to sell it to different wholesaler markets in the area. It is in 1984 when Jose Vicente Minguet Carregui, together with his wife Josefina Queralt Mora, establishes FRUTAS MINGUET S.L. 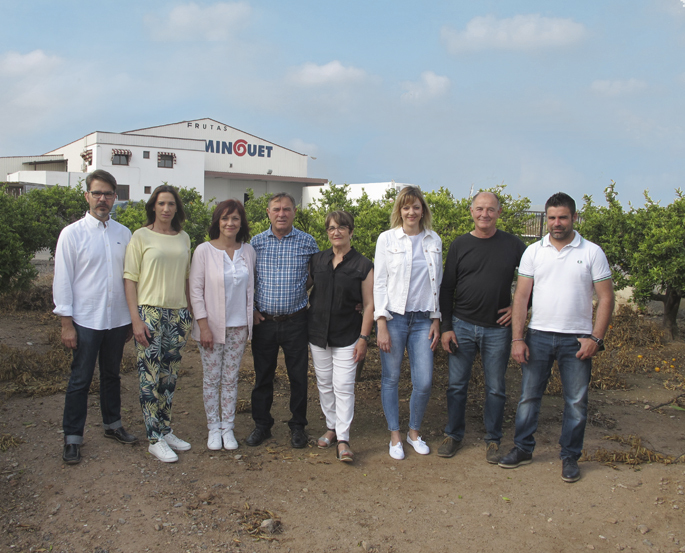 It is the second generation of the Minguet family that creates the company which even today grows, packs and sells a variety of fruit and vegetables in which oranges, watermelons, melons and avocados can be highlighted. The company then begins its expansion by selling their fruit nationwide. At the end of the 80s, the signs of support and recognition of the quality of our fruit serves the company to establish itself on the Spanish market. In a sector as traditional as agriculture, we rapidly adopt technology as our ally in the plantations as well as the production chains and marketing operations. This commitment to innovation and our desire to succeed has allowed us to broaden our horizons and conquer national and international markets. In 1991 the current facilities of the company were built and opened in Chilches. A new era begins for the company along with new working methods to which we have been able to adapt besides making improvements each step of the way. In 2011, Jose Vicente Minguet, as manager of FRUTAS MINGUET, S.L, is awarded a prize for his trajectory and commitment to the company by the Confederation of Businessmen of Castellón. Two years later, in 2013, the avocado was added for the first time to our list of products. Pioneers in planting and growing avocados in the area, this led to the recognition of a high quality product which is nowadays regarded as one of our star products. Today, we can say that we boast fully equipped installations and a highly qualified human capital which ensure the quality of all our produce. In recent years, the company has continued to grow and improvements have been made which have led to the acquisition of new machinery which meets the demands of the company as well as the current market. Moreover, our employees are constantly provided with training courses in order to ensure the smooth running of the company. We are owners of extensive fields which are cared for and pampered in order to obtain first quality produce. We grow clementine oranges, avocados, melons and watermelons and daily supervision of the plantation, handling and harvesting of the fruit is carried out so that the whole operation meets the quality standards required by our company. Today, we boast facilities that allow working at the standards of market demands with the aim to guarantee excellent quality of each of our products. Agriculture is our origin, therefore, the whole production chain of our fruit is supervised from planting to delivery to the customer. Each of our trucks is appropriately equipped in order to ensure maximum quality of our mandarin oranges, melons, watermelons and avocados. Copyright © 2019 - Frutas Minguet S.L. Todos los derechos reservados.